To get a copy… a special e-edition — with available print-on-demand (POD) — can be acquired via Amazon or directly from Gregory Benford‘s or David Brin’s web sites. Or click the links below to purchase from another retailer. COVERS FROM OUTSIDE THE U.S. 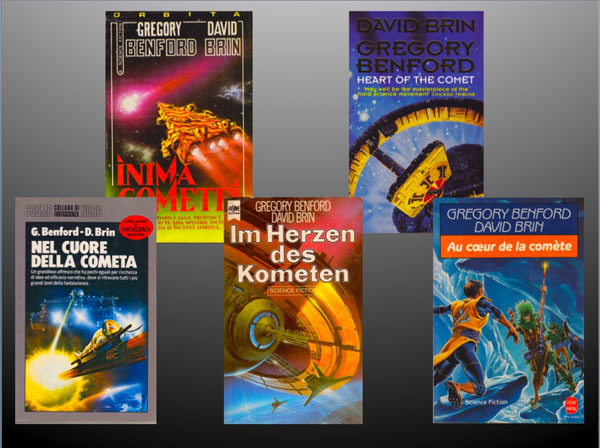 Here are a collection of covers for Heart of the Comet from its foreign and foreign-language publications.